I am by no means an expert in this area but I have successfully assembled at least 6 different gimbal stabilizers from scratch, and have upgraded my older 8 bit to a new 32 bit board with dual IMU sensors. I’d like to think that i’m at least capable of helping others get started with a basic gimbal assembly, and basic troubleshooting. One of the most popluar 100% DIY 3 Axis Gimbal Kits on the market is currently the CAME-TV 7000 [Found Here]. Because there are several parts to building the CAME-TV 7000 DIY 3 Axis Gimbal Stabilizer Kit,I thought I’d just add it to a single page. This video briefly explains what you should know about mounting your IMU sensors. The software attempts to keep your camera level, but it first needs to understand which direction your sensor is facing. If your camera is going wild, double check to make sure you have both the Camera IMU and Frame IMU sensors correctly set in the software. I have the joystick positioned with connecting wires facing down. Then I run the wires behind the handle, so it’s barely visible. First download the version of software that matches your board. For the 32 bit version you can download here. Once you have the software installed connect the gimbal via USB, select a connection using the drop down, and then hit Connect. If your computer cannot communicate, you may have to install a driver. If you’re running MAC OSX you can install a driver for the software to communicate with your Gimbal via USB. (DOWNLOAD DRIVER HERE). [More Info] You can also take a look at screenshots about Launching the SimpleBGC Software (here). This video will show how I perform a 6 point calibration on the IMU. 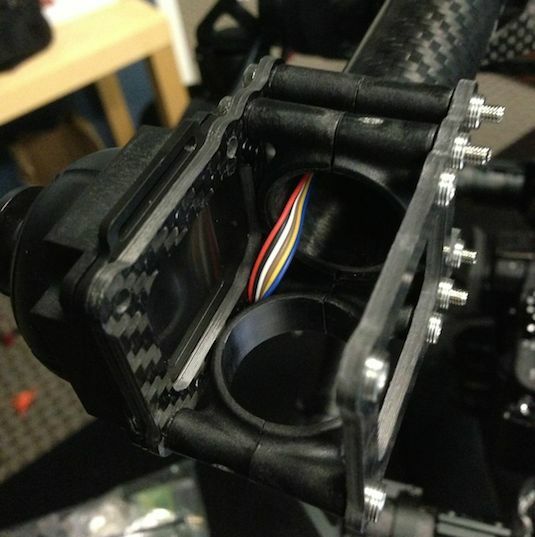 For gimbals that have 2 IMU sensors, you will need to perform the same technique with both. Just make sure you choose the correct IMU to calibrate which is Camera IMU or Frame IMU. BTW, it’s not necessary to hit ‘write’ after each position. This video shows how i’m going through the same steps with (2) IMU sensors, both the Camera IMU and Frame IMU. You can see how i’m selecting different IMU sensors in the new 32 Bit software before performing the calibration. This is by far the most important step before configuring the software. The performance of your gimbal relies heavily on your camera being able to maintain a level horizon. Gimbal going crazy when you power it up? This next video will show you some basic settings to check like possible inverted motors, sensor position, motor poles, etc. It will walk you through configuring PID settings from scratch. (a more advanced version of this video to come at a later time). So if you’ve followed the information on this page from the top, by now you should have your gimbal fully assembled and balanced. Here are a couple of other videos and articles about small Tweaks i’ve done on my own personal systems like Adding a Project Box to protect the controller, covering up unsightly wires, securing the YAW shaft, and more. Creating a template to drill for your Project Box. 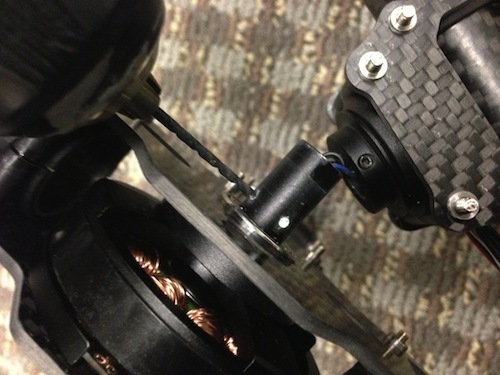 If you’ve assembled the CAME 7000 Gimbal, you may be concerned about the two small set screws at the YAW shaft. To ensure I don’t have any issues, i’ve located where my set screws hit the shaft and recessed it with a drill bit. This will allow my set screws to sit into the shaft as opposed to relying on friction. 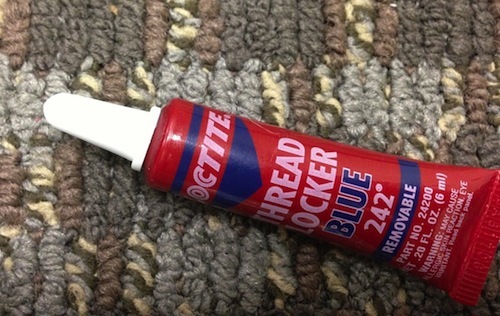 I’ve also added Loctite Thread Locker to the set screws preventing it from backing out. If you can’t seem to run certain wires through the frame, you can always cover them up with spiral wrap. 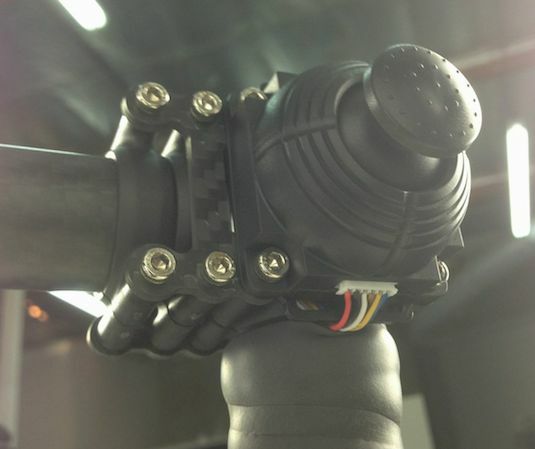 I cut small pieces and apply it to different areas of the gimbal to ‘black out’ some of the colorful wiring. Not only will it add an aesthetic value, it will protect your wires, and it’s easy to remove when you need to service your gimbal. There will be times when you need to service the Gimbal. If your wires are all tucked through the frame you may not remember exactly where things need to reconnect. 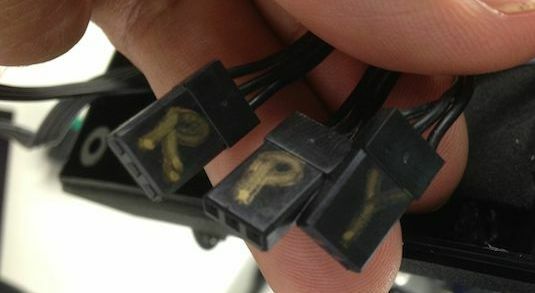 Always label your wiring so you can disassemble and reassemble the system quickly. I tried to keep these videos fairly short, but if you have questions about anything in particular, I will try to add more refined instructions. I will also be adding more content to this website as I continue to build, tweak, or test new video gimbal stabilizers. 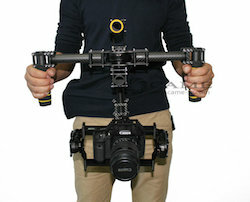 @Mitch – The higher end systems have some additional features not found on the less expensive gimbals, and the M5 and G5 are designed to carry heavier loads. If you’re just looking to fly a small camera (like a GH4), then maybe you don’t need to spend more than 4 times the price of a DIY. Regardless of which gimbal you end up you will still need to get familiar with balancing the camera, tuning the software, and practice techniques. For the price to build one, i’m learning a lot and I didn’t have to pay for a class. If you’re not into building one there are still more options available for around $2K that can fly small cameras like the 5D. as you can fold it ! and it has a physical dampening system for the vertical axis … but it’s pricey ! Saw this earlier today and went through the videos quickly. and have no idea how to solve. When you watch your calibration video I’m sure you’ll notice that the calibration are not actually happening. @Nick – You will get the message until you calibrate both IMU sensors, not just one. Can I ask the runtime on how many hours it can last till i change the battery; for the gh4 and the 5dm3? @Ben – At a car show we ran it for about 4 hours before changing the batteries. Some people will only get about one hour use. 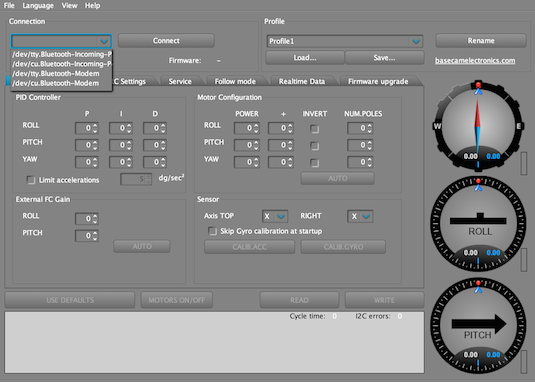 This is based on your PID settings, how much power you have set to the motors, and how hard the gimbal has to work. I highly suggest buying extra batteries. They are fast to swap out, and not very expensive. For the CAME 7000 you are looking for a 3S Battery at 11V with at least 4000mah and a Deans Plug. Here’s a really good one which comes with various terminals. I would also recommend that you get a better battery charger for a 3S LiPo battery. I’m not sure if my controller board is defective based on my IMU calibration but it is now non responsive. Video clips below. Let me know what you think. 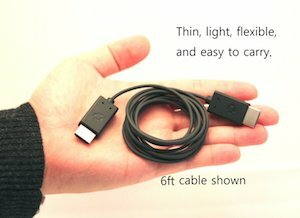 @Luke – What does the system do when you connect the battery (without the USB). Same thing, with the USB unplug and the power cord connected, the gimbal remained idle, no response from the motor, controller board doesn’t beep and the red light remains steady and green light flashing. I have also emailed the video to CAME-TV and see what is their response. Good job, now that you have built it and it can lay it flat by removing the top handle and you want to take it too some remote locations what shall I carry it in ? Any case suggestions ? I am on my version 3 of a DIY gimbal and just finished working with a DOP where we put on Canon 5d mark iii and a canon 14mm 2.8 and it worked great with a 8bit board …but I have no case for this. I need a super light case so any suggestions where to go would be nice. @David Warrenchu – There is definitely a large Pelican case that you can get, it’s expensive but can be used when traveling by airlines where you need to check it in. Here’s a photo of mine inside of a Pelican Case. I’m still trying to look for a more portable inexpensive solution myself. Thanks for the tutorial videos. That helps tremendously. The issue with my gimbal controller has been resolved. It turns out that the controller which came with the gimbal was defected. After changing to a new one, everything works as it should be. The only issue I have is the pitch which will bring the camera to a flat position (pointing upward) no matter what number I put in the pitch PID. It will only stabilize itself when I put zero in the pitch PID. Any idea? It loads an entirely new profile. They just happen to set it up to act slightly different. Hi Emm, thanks for all your videos on line. I am facing an issue with my Came 7500. I have contacted Came TV support but haven’t heard back from them. as you see, it keeps rotating and tilts to the left. Also, I connected to the GUI software but don’t know witch option should I choose in the connection window. There are four of them but none of them have response to my gimbal. @Ken – First double check your YAW balance. With the unit off you should be able to tilt the handles (left handle up + right handle down) and the camera should remain in the middle. You should also be able to tilt the handles forward (over the camera) and the camera should not move. If you can’t do that, you’re not balanced well. Slide the top post forward or back, and also rotate the top post left or right trying to square up the frame. Also try to click on ‘Calibrate Gyros’ in the software. Once you have the unit plugged in and the software installed on your computer, power the gimbal on, hold it as square and level as possible and then click Calibrate Gyro, and wait till it’s finished. Maybe I didn’t state my problem clear. The problem in the video doesn’t have anything wrong with balance. The camera is perfectly balanced. All the gimbal function work fine (joystick is also working) but just don’t stop slowly rotating and tilting to the left as showing in video. My Gimbal is Came 7500, so which one should I choose? I had the exact same problem. Just load up the program and caluibrate the gyro. Thank you Emm and Box. Thank you for kindly making the world a better place. Hi Emm! Thanks for your hard work, I really love what you do. For that i am very thankful. I bought the came 7000 in july. I have the 32 bit version with 2 sensors. Do you know if there is some way to download and installing the new predefined Pid´s on the board? 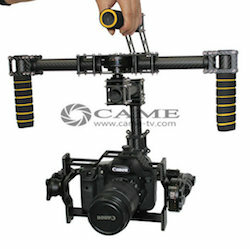 Hi, I have Came 8000 gimbal with Black Magic Cinema Camera and Sigma EX 10-20 lens. What values you use or what would you recommend to use to PID and Motor Configuration Powers? The gimbal is twitching when i put the power on and it´s not stable. I’ve got it up and running and all seems fine apart from the camera turns very slowly to the left and points down ever so slowly. Could this be a balance issue or something else? When the joystick is off its stable and centered. @Richard – Sounds like it could be a few things. If it’s stable with Joystick off, then you have a problem with your joystick wiring or trim. You can adjust trim under RC settings. Basically you just leave the joystick in neutral and then hit RC Trim. It will measure the joystick resistance and set that at neutral.